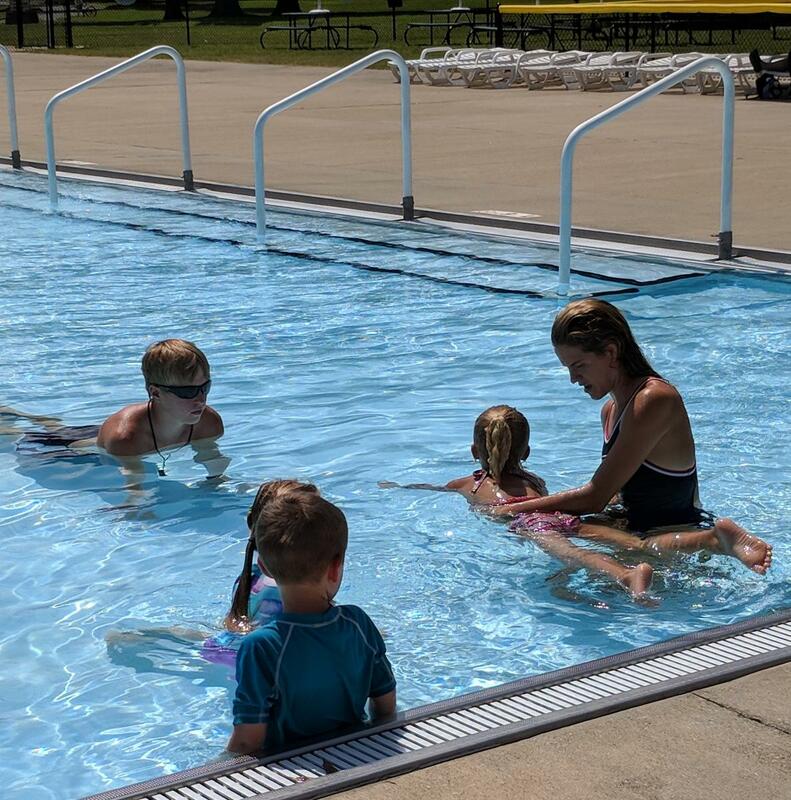 The Parks and Recreation Department offers several levels and sessions of swimming lessons. 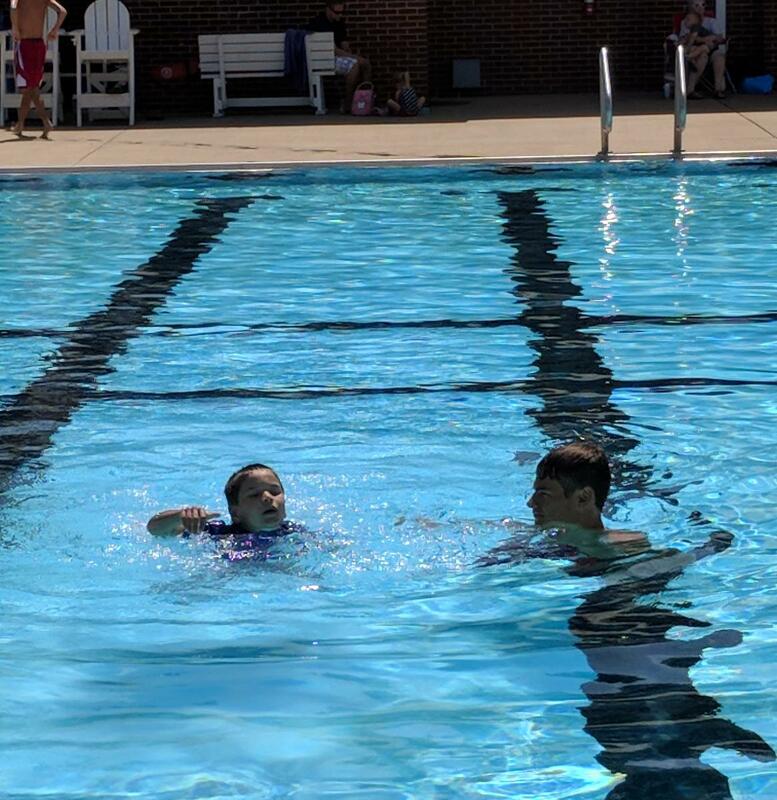 Registration for swim lessons begins April 1, 2019. Spots fill up fast in some classes so we encourage you to register early. The classes are two-week sessions held Tuesday through Thursday. The cost is $40 per session. 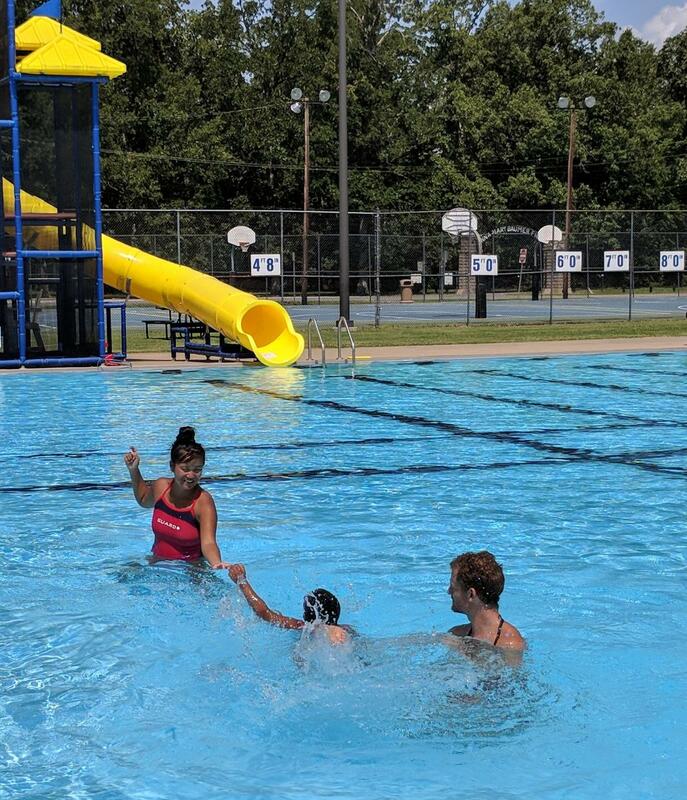 For specific information on classes and what you can expect from each level, please contact Parks and Recreation or download a 2019 Swimming Lessons Parent Handbook. To help determine what level a child should be enrolled in, ask yourself "can my child perform all of the skills listed in this class?" If the answer is yes, then enroll your child in the next level. If the answer is no, then your child needs to be registered in that specific class. Remember, when assessing your child's abilities, mastery of those specific skills is needed to promote to the next level. Some students need to take a level more than once to master the skills taught and be ready for the next level. Three sessions of classes will be offered in 2019 from 10:45-11:45 a.m. or 5:15-6:15 p.m. on Tuesdays, Wednesdays and Thursdays. If classes are cancelled during the week, they will be made up on Fridays. Registration is available online or at the Parks & Recreation office located at 1400 H.C. Mathis Drive. Office hours are Monday through Friday from 8 a.m. to 5 p.m.
Level 1: Introduction to Water Skills for kids ages 4+. Introduce basic aquatic skills, which participants continue to build on as they progress through Swimming Lessons. Participants start developing positive attitudes, effective swimming habits and safe practices in and around the water. Children MUST be completely potty trained to enter the pool. Swim Diapers are prohibited in the pool per state health regulations. Level 2: Fundamental Aquatic Skills for kids ages 5+. This level marks the beginning of true locomotion skills. Participants learn to glide and float without support and recover to a vertical position. Participants further develop simultaneous and alternating arm and leg actions on the front and back, laying the foundation for future strokes. New water safety topics are introduced, and previously acquired water safety knowledge and skills are reinforced. Level 3: Stroke Development for kids ages 5+. The goals are to expand proficiency of previously learned skills by providing additional guided practice. Participants learn and practice survival floating and learn to swim front crawl and elementary backstroke at rudimentary proficiency levels. You introduce the scissors and dolphin kicks and extend the time duration for treading water. Participants also learn rules for headfirst entries and begin to learn to enter the water headfirst from a seated position at poolside. New and previously addressed water safety topics are included. Participants who successfully complete Level 3 have achieved basic water competency in a pool environment. Level 4: Stoke Improvement for kids ages 5+. Participants improve their aquatic skills and increase their endurance by swimming the strokes learned in Level 3 (i.e., front crawl, elementary backstroke) for greater distances and with more advanced proficiency. Participants add arm actions to the previously learned scissors kick and breaststroke kick to perform the rudimentary sidestroke and to learn the breaststroke. Participants also begin to learn the back crawl and butterfly, as well as the basics of performing a simple open turn at a wall. To teach kids about how to be safe in and around the water. Level 5: Stroke Refinement for kids ages 5+. Participants refine their performance of all six strokes (front crawl, back crawl, butterfly, breaststroke, elementary backstroke and sidestroke) and increase the distances that they swim. Participants also learn to perform flip turns on the front and back. All swimming patrons must wear proper swim attire. Non-swimming patrons must stay out of the water at all times. Children under 10 years must be accompanied by a supervising adult. All swimmers in main pool must be completely toilet trained. Swim diapers are prohibited in main pool. Running, horseplay, rough housing, outside food and drink, talking to lifeguards, and profanity are prohibited. Patrons using diving area must pass swim test prior to use. All food and drink must remain in the grassy areas. Children should wait on the pool deck for their instructor before every class. All participants and family members must also be respectful of the teacher and other children in the class. Instructions of the class instructors and lifeguards must be obeyed. For the safety of yourself and other please do NOT swim if you have a cold, diarrhea, excessive sunburn or unhealed abrasions.